Guard of honor being provided to Michael Clarke by the England team. To retire from Test cricket after providing the best of your services to your nation is one of the proudest moments for a cricketer. And providing a farewell match is the best goodbye a team can give to their deserving player. However, there have been several legendary cricketers who just not lucky enough to get a farewell match despite giving their best to the team. To end a career without a farewell match is not an ideal way for anyone to end their career, but sometimes that can't be helped. Coming from the town of Delhi, Virender Sehwag didn’t have the kind of ending to his career that he would have wished to have. He retired from Test cricket without a farewell match, despite giving his best to his nation for 12 years. 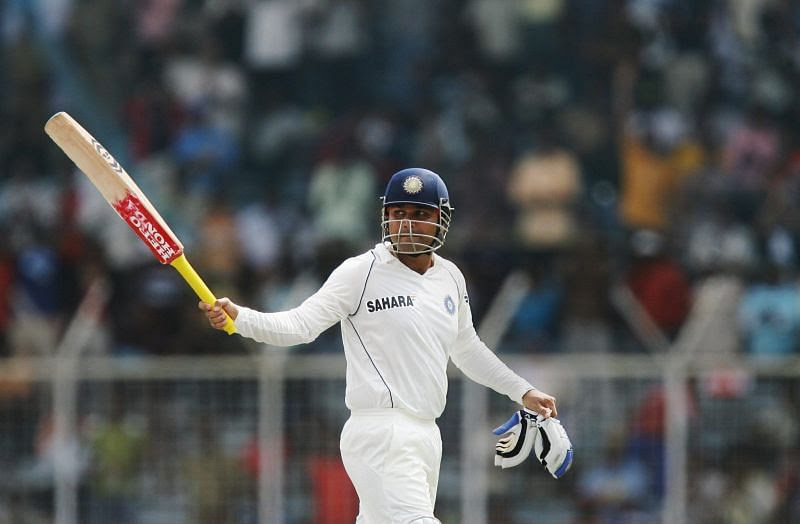 Despite being an aggressive player, Sehwag was surprisingly just as comfortable in the Test format as he was in ODIs and T20s. In fact, in some ways he revolutionized Test batting, showing the world the value of taking the attack to the bowlers. Nicknamed 'Viru', Sehwag smashed nearly every bowler in Test cricket to score 8586 runs from 104 matches and a top score of 319 runs. But in spite of being a deserving candidate for a farewell match, he left the game in silence and without much fanfare.